Prestashop module intended to export your products in three different files (products, categories and combinations) and import them later using Prestashop official import system. 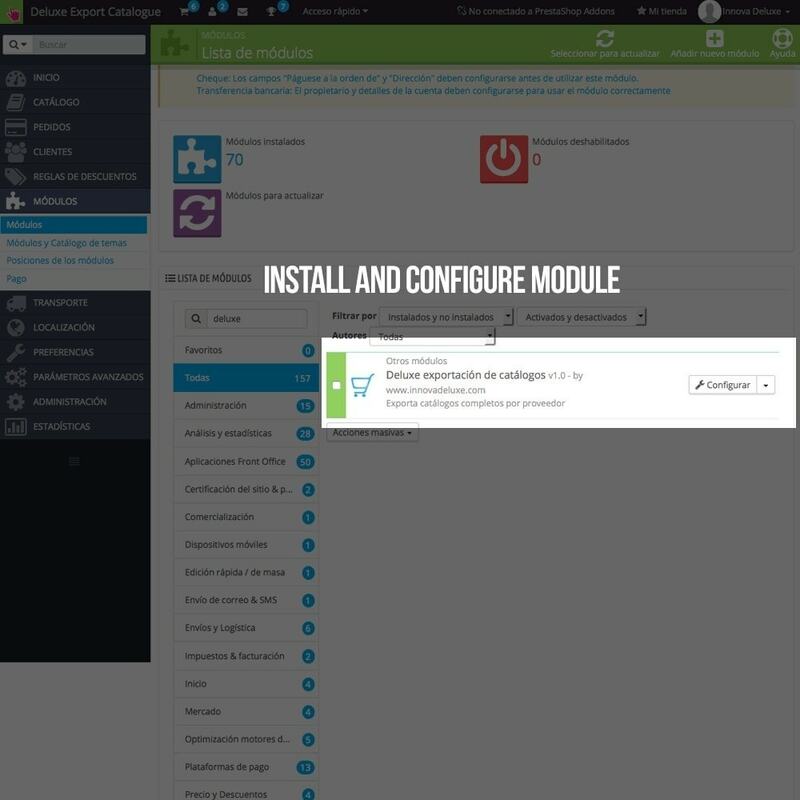 This module is perfect for catalogue migrations, for example if you want to start a new shop with your catalogue. 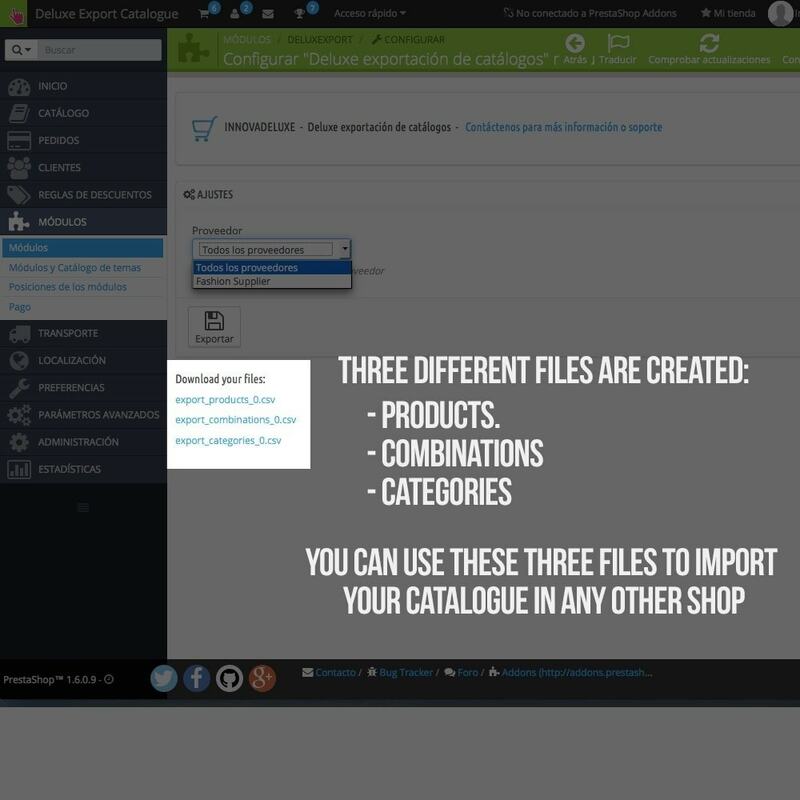 Also you can use this module to provide your customers with your catalogue to import in their stores and sell your products using dropshipping or any other business mode. This export operations is supplier based, you’ll be able to export all your products or only the products form your selected supplier. 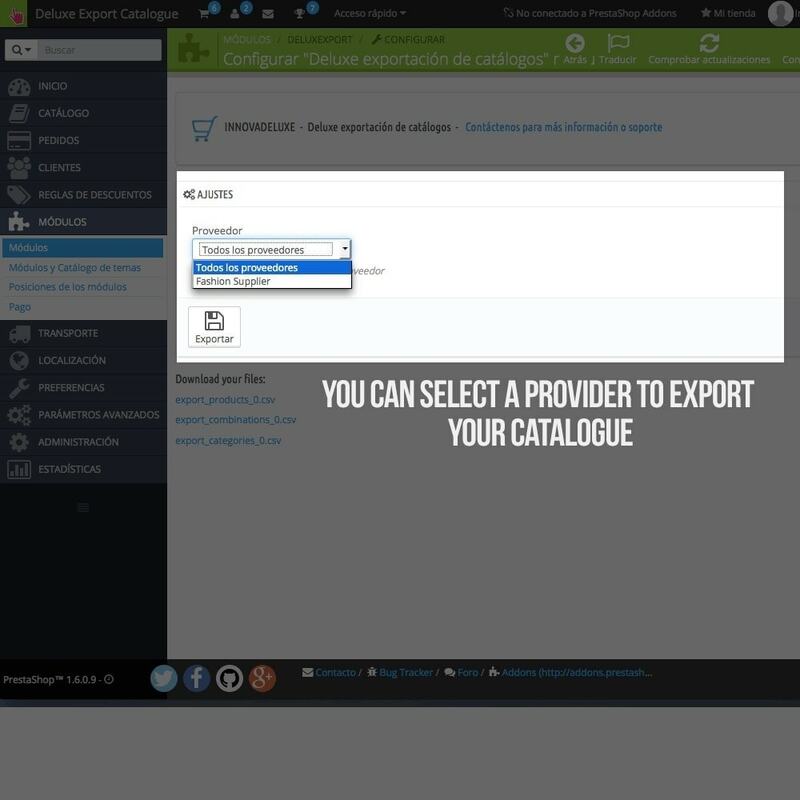 This allows you to export just a part of your catalogue or all your products. 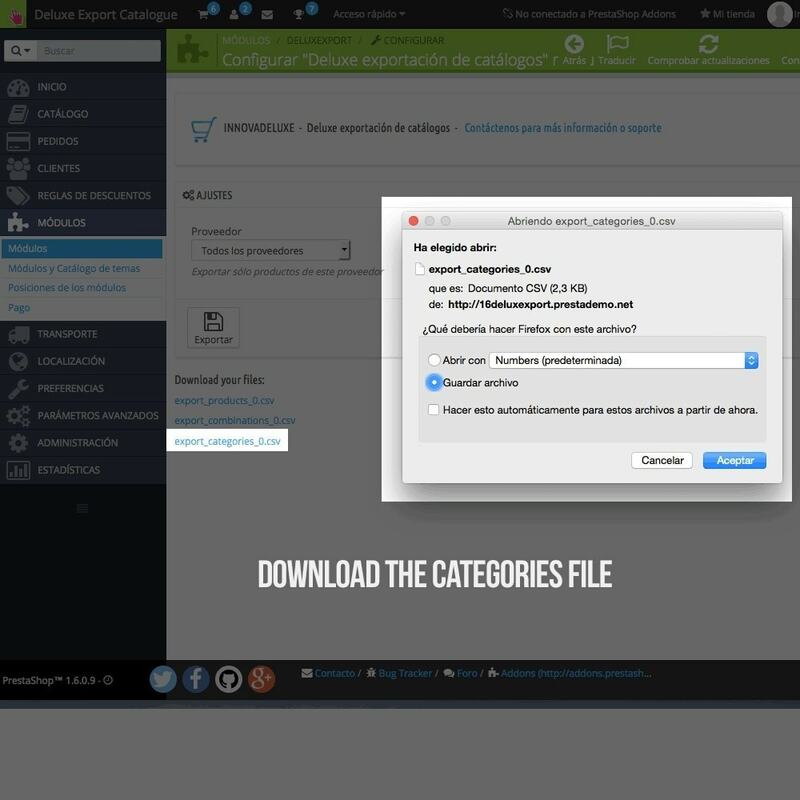 This module does not export specific prices, since the official importer of PrestaShop does not import them. 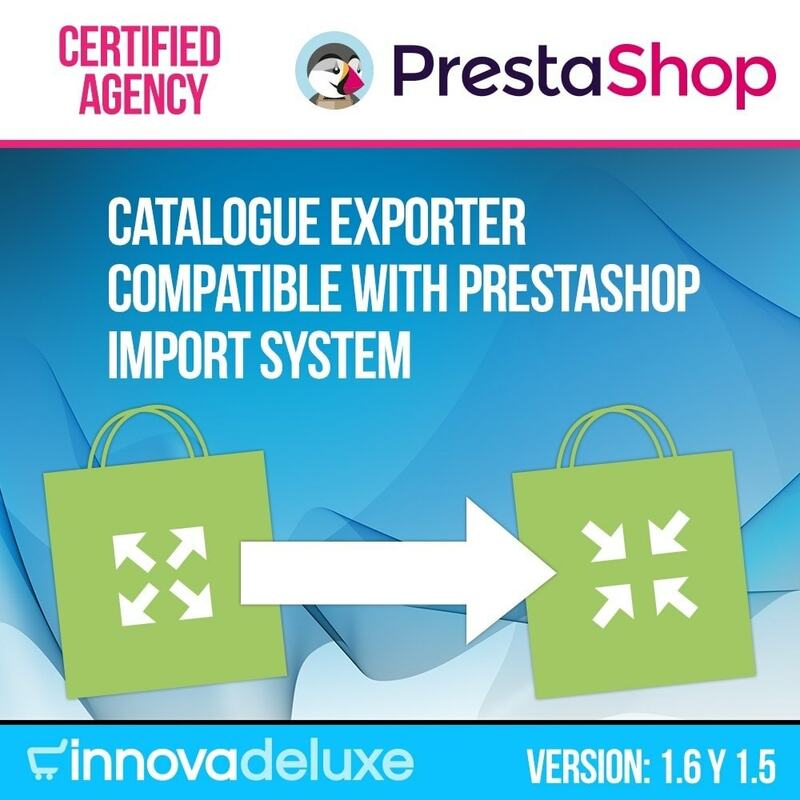 If your customers are using Prestashop stores, they will be able to sell your products by importing your catalogue using the Prestashop official import system. They can import products, categories attribute combinations. Offer your products and other merchants will sell them for you.